“Van Gogh killer jailed for life,” BBC News, July 26, 2005, http://news.bbc.co.uk/2/hi/europe/4716909.stm. Jason Burke, “The murder that shattered Holland’s liberal dream,” Guardian (London), November 7, 2004, https://www.theguardian.com/world/2004/nov/07/terrorism.religion. “Van Gogh Killer Gets Life in Prison,” Fox News, July 26, 2005, http://www.foxnews.com/story/2005/07/26/van-gogh-killer-gets-life-in-prison.html. Jason Burke, “The murder that shattered Holland’s liberal dream,” Guardian (London), November 7, 2004, https://www.theguardian.com/world/2004/nov/07/terrorism.religion. Bouyeri and a policeman both suffered injuries from the gunfight.Marlise Simons, “Dutch Filmmaker, an Islam Critic, Is Killed,” New York Times, November 3, 2004, http://www.nytimes.com/2004/11/03/world/europe/dutch-filmmaker-an-islam-critic-is-killed.html. Rebecca Leung, “Slaughter and ‘Submission,’” CBS News, March 13, 2005; https://www.cbsnews.com/news/slaughter-and-submission-11-03-2005/. One of the notes left pinned to van Gogh’s body was a five-page letter threatening Ayaan Hirsi Ali, a Somali-born Dutch politician who wrote the script to “Submission.”“Van Gogh killer jailed for life,” BBC News, July 26, 2005, http://news.bbc.co.uk/2/hi/europe/4716909.stm. The other note suggested that Bouyeri expected to be shot dead after the attack.Jason Burke, “The murder that shattered Holland’s liberal dream,” Guardian (London), November 7, 2004, https://www.theguardian.com/world/2004/nov/07/terrorism.religion. Abu ZubairHassan Bahara, “Rijst op uit jullie slaap,” De Groene Amsterdammer (Amsterdam), October 22, 2014, https://www.groene.nl/artikel/rijst-op-uit-jullie-slaap. Mohammed B.Ian Buruma, “Final Cut,” New Yorker, January 3, 2005, https://www.newyorker.com/magazine/2005/01/03/final-cut-2. Muhammad BouyeriCraig G. Smith, “Dutch Look for Qaeda Link After Killing of Filmmaker,” New York Times, November 8, 2014, http://www.nytimes.com/2004/11/08/world/europe/dutch-look-for-qaeda-link-after-killing-of-filmmaker.html. Mohammed Bouyeri was a dual Dutch-Moroccan citizen who murdered Dutch filmmaker Theo van Gogh. “If I ever get free, I would do it again.”“Van Gogh murder suspect confesses to killing,” NBC News, July 12, 2005, http://www.nbcnews.com/id/8551653/ns/world_news/t/van-gogh-murder-suspect-confesses-killing/#.Wb6UydN97R0. 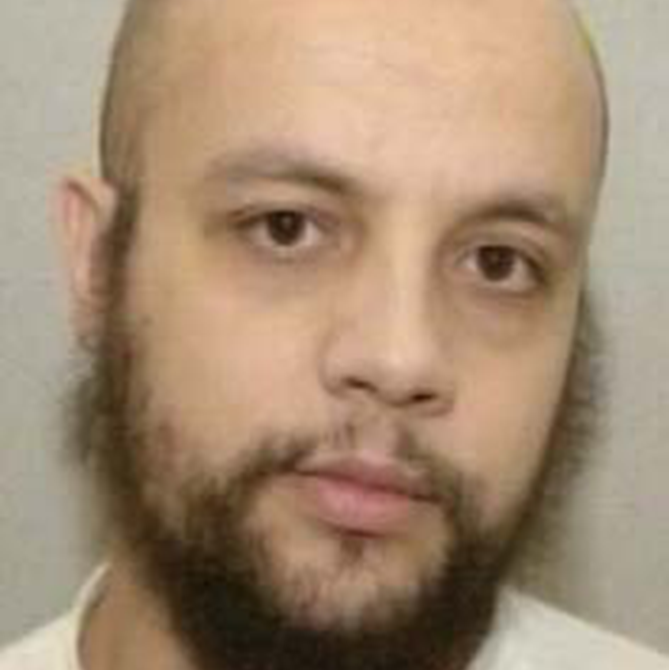 “The law compels me to chop off the head of anyone who insults Allah and the prophet.”“Van Gogh killer jailed for life,” BBC News, July 26, 2005, http://news.bbc.co.uk/2/hi/europe/4716909.stm.